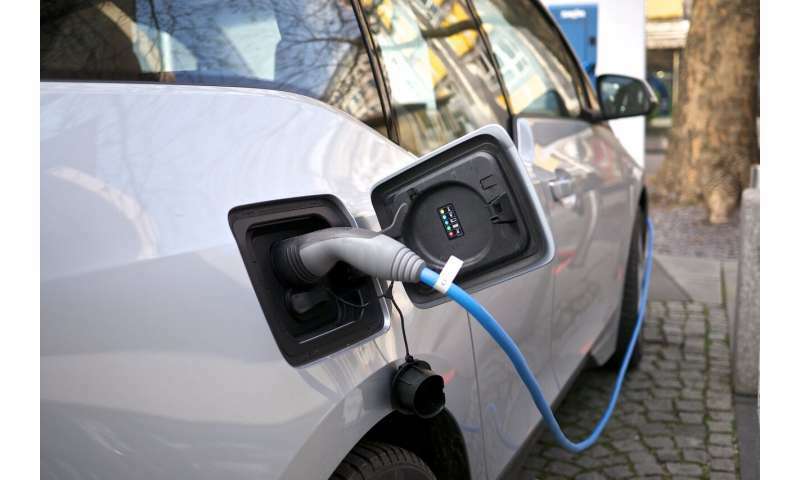 "We found that in the Midwest, the increased power demands of EV charging in our current energy mix could cause slight increases in summer particulate matter due to the reliance on coal-fired power generation," Schnell said. "However, if we transition more of the Midwest's power generation to renewables, particulate matter pollution is substantially reduced. In the Pacific Northwester or Northeast, where there is already more clean power available, EV adoption—even with the current energy mix—will decrease particulate matter pollution." The climate outlook is for cooling. Doubt they accounted for the loss in generation and distribution of the electricity. "Doubt they accounted for the loss in generation and distribution of the electricity." Well that is the beauty of being a green progressive you never have to account for any of your overestimations. You would be correct if the pollution from fossil fuels was only coming out of tail pipes, however, there is substantial pollution in drilling, refining, and transportation to market. Add all that to tail pipe pollution and you have pollution far in excess of that of even the dirtiest coal-fired power plants. A bit of research will validate this. Personally, I will not buy an EV until their battery banks are so improved that recharging them in sunlight to the max from a roof solar panel will enable the EV to be driven all night without having to hook up to a station that has a charger available, with electricity flowing from the grid. First, you have to SEARCH for such a station and drive to it provided that your batteries are not dead already. But yes, the air would be much cleaner and sweet without all the pollutants wafting through to your nose. Mouth-breathers take note. An idea that I have for when I DO buy an EV is to place a carrier over the roof solar panel with a type of outdoor lamp over the panel; attach the cable to the cigarette lighter in the vehicle so that the batteries recharge/discharge while driving at night. I need to work on the schematics a bit. But it should work well in a pinch when a recharging station isn't available. The world is changing Orion. EVs do improve local air quality, necessarily so even if all that electricity is coal powered, but especially when it is not. But there are two fundamental problems with EVs: Safety: the batteries must be arranged in a T shape so that they are protected from exploding during a collision, and range and durability of these batteries must improve. Specifically, these batteries must be good for at least 200 000 km prior to degradation. Anything less is an insult. Hybrid done right technically has the most potential, for serious acceleration "quick start engine accelerate" then immediately turn off during perceived cruising (system monitors this). Basically engines designed for fast repeated ignitions and algorithms deciding whether to use the battery or gas. During traffic this will lead to serious reduction in local pollutants. Everything on the market is terrible. EVs do improve local air quality, necessarily so even if all that electricity is coal powered, but especially when it is not. But there are two fundamental problems with EVs: Safety: the batteries must be arranged in a T shape so that they are protected from exploding during a collision, and range and durability of these batteries must improve. Specifically, these batteries must be good for at least...Hybrid done right technically has the most potential, for serious acceleration "quick start engine accelerate" then immediately turn off during perceived cruising (system monitors this). Basically engines designed for fast repeated ignitions and algorithms deciding whether to use the battery or gas. During traffic this will lead to serious reduction in local pollutants. I like the idea of hybrid motors, at least until batteries are perfected 100%. But here in Wisconsin it gets too cold for battery banks left outdoors. Not everyone has a heated garage. What if you just like gasoline cars, and don't want to spend 5-8 hours "gassing up" your vehicle? Freedom of choice, for as long as the STATE allows it. Just a few days ago, you claimed that The Netherlands only produced 6% of its electrical power through renewable means. To 'prove' that, you posted a link that says it's 14%. How can anyone take such a lying imbecile cretin seriously? Reading seems to be a lost art. They *specifically* took this into account in this study. You also do not seem to understand that even if more coal is burned to generate power for EVs a lot less petrol is burned. Coal powerplants are vastly more efficient than a small engine in a car (and can have entirley different means of scrubbing pollution installed compared to crummy catalytic converter in a car). Coupled with the hugely higher efficiency of EVs over internal combustion engines cars it's trivial to see the benefirs. Airbus needs to start making hydrogen airplanes. We can't continue with current airplanes, it is ridiculous. Actually, governments should regulate airplanes emissions also and force Airbus or Boing to change their kerosene to hydrogen. Very possible to do it, it is only a question of will. This environmentally sustainable solution exists for aircrafts. Electric vehicles are the way of the future. Engineers are implementing the work of scientists because the economics of electric vehicles and the energy production by photovoltaics and windmills is and will be more economical than the current model. These are exciting times. Do you think that coal mining does not have an environmental impact? What is your solution? Endemic corruption of local/central authorities means LAX/NO safety/environmental standards, production-at-all-costs' policies, benefitting the corrupt few running China etc. That is what will happen to USA if Trump's 'menagerie' get control of EPA, Industrial Safety etc agencies. Trump and his 'criminal/traitorous mafia' gang want to take USA back to BAD old says when 'industry mafia' could pollute/poison for PRIVATE PROFIT and LEAVE cleanup/health COSTS for PUBLIC to bear. Ya know...once you've seen what e.g. oil drilling is doing to the environment in Nigearia or Venezuela (or what fracking is doing in the US) the rare-earth mining in China is a pretty paltry problem by comparison. Even more so since rare earth ore isn't used up whereas the products of oil and gas wells just keep going up in smoke and have to be replaced. Yes, mining conditions should improve. but we really need to keep things in perspective. "Electric vehicle adoption improves air quality and climate outlook"
-And what's fracking doing in the US besides a few earthquakes and a whole lot of voodoo hype? And all those jobs and all that cheap energy? Absolutely not correct. To charge EV you need electricity, and most electricity is produced in coal powered electric stations. In many parts of the world, most electricity is NOT produced by coal power. Even in those parts of the world were it still is, that is changing relatively fast and eventually, and not too far into the future assuming humanity doesn't mainly consist of complete morons, NO electricity will be produced by coal. So you have no point here. This article is perfectly valid and we should take note of these findings. Coal is a flat-out loser/relic of an energy technology dating to the early 1800s. It's a toxic soup of filth embedded in rock that pollutes not only combustion products like CO2, but a laundry list of toxic pollutants that ends up in the food chain. Getting rid of coal-fired plants is not only desirable, but it's also happening out of necessity. As EV's come online, that is one less oil burning CO2 source machine removed from the streets and one more clean air vehicle powered by the GRID. The GRpID is increasingly becoming a renewable energy powered source so overall it's a win for renewables. The other opinions of the climate-denier goon squad aren't worth your time spitting up. Those goons won't be happy until CO2 is 1000ppm. I'm a scientist and I wouldn't experiment with those levels and expect life as normal. Denier goons are goony goony goonheads. You are a liar. I'll perhaps try to be a bit more charitable about it - your lies are simply based on your being Rip Van Winkle, asleep for the last 20 years. That is the absolute best compliment I can give to your worthless non-contribution. I won't call you a liar. I will simply call you stupid. Perhaps you're capable of learning..?